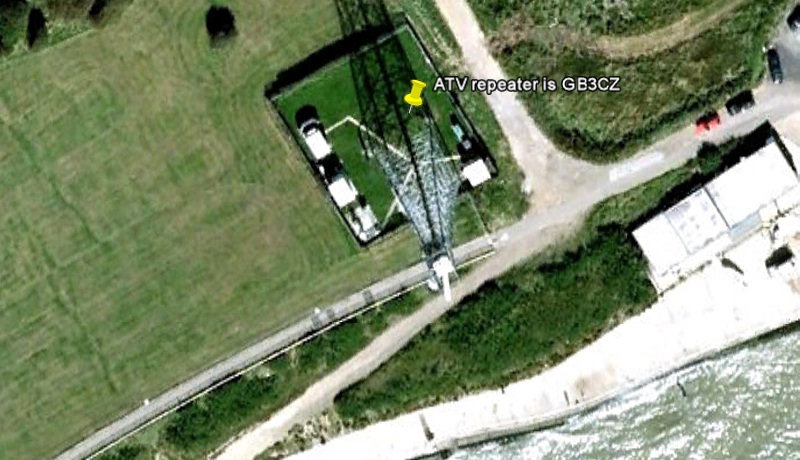 My local 13cms ATV repeater is GB3CZ and this is located on top of the Coastguard Tower, Holland Haven, Holland-on-Sea, Essex. 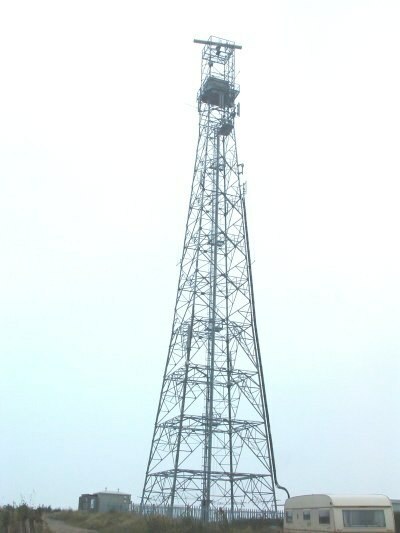 Output is on 2432Mhz FM Horizontal 10W ERP 80 Meters Above Sea Level TM218172 JO 01 OT At the moment it is in TX mode only. It transmits a live image looking along the sea front towards Clacton on Sea. 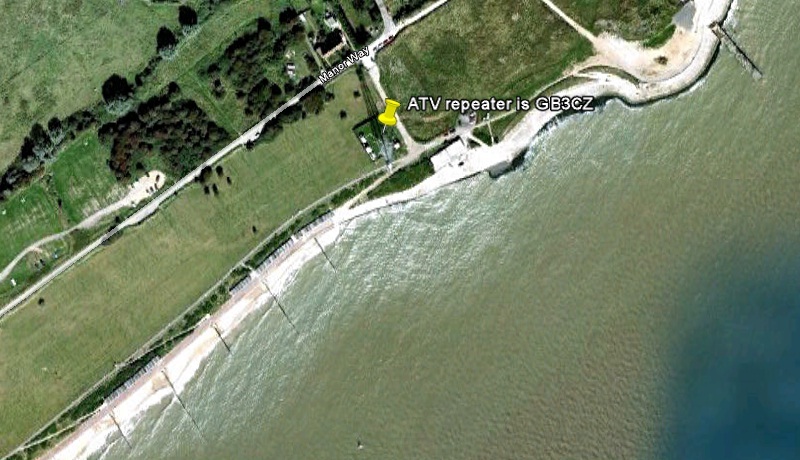 The Martello Tower Group have a receiver to put on site to make it a working repeater but with lack of interest from radio ham's this is on hold! So PLEASE if you can receive GB3CZ send a signal report to the keeper gb3cz@btconnect.com and a show of interest of using it would be a big help. WiFi boosters for 13cms ?? 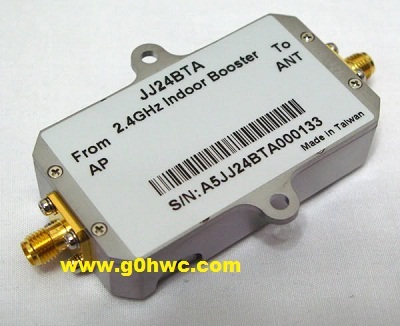 2.3~2.5GHz ?? Looking on places like Ebay there are many wifi boosters, the 1w and 2w output ones are around £40. I will do some more hunting before I buy one but would like to hear from anyone using one on 13cms. Here are some I have found with spec. The text on the right is from the Ebay advert, The guy seems to have a good supply of them. Very linear Class A RF amplifier which I have removed from a new Spectrian high power Amp where it was used for driver for the main PA boards. 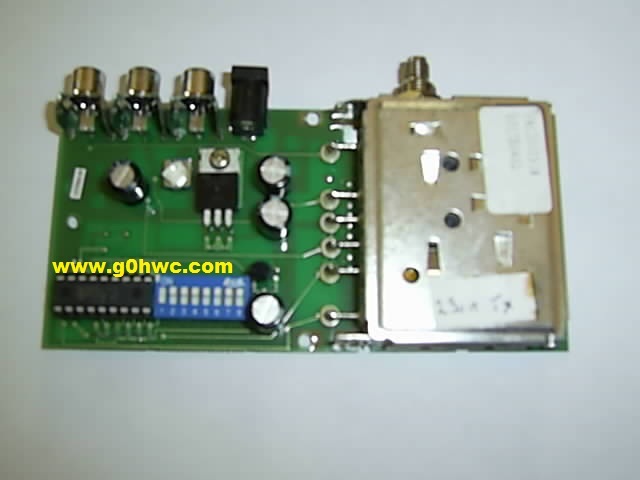 This auction does include the 24v 80ma bias supply as suggested below at no cost to you. 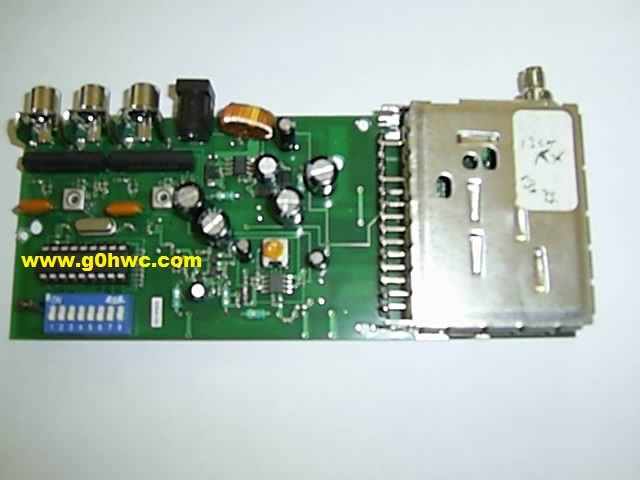 This amplifier has been selected, setup and tested for an output power of 30W from 2.3GHz to 2.35GHz with a linear gain of 35dB. 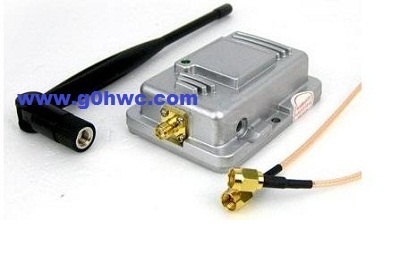 Great amplifier for CW,AM, FM, ATV or SSB use from 2300MHz to 2350 @ 30W and to 2450MHz @ 25W. 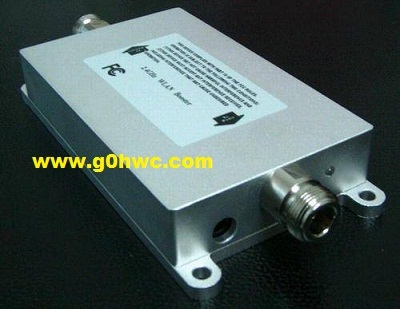 Input power for 30W output is typically 10mW or less! I have attached a plot of power vs frequency. The upper left reference tick marks the 100W (50dBm) point with 5dBm / vertical division. 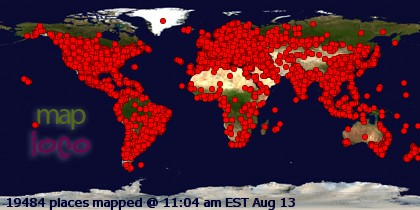 Frequency is 50MHz / division. Input drive for this example was 7.0dBm. Power requirement is 13-14V @ 10A and + 24 to +28v bias @ 50Ma. 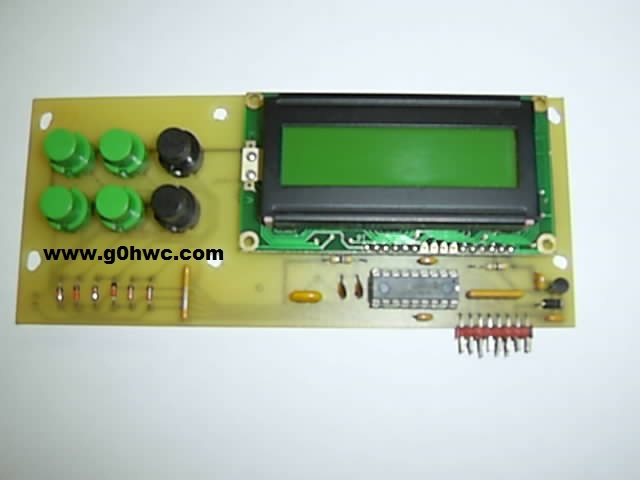 This bias is used for the gate voltage circuit on the power control FET. 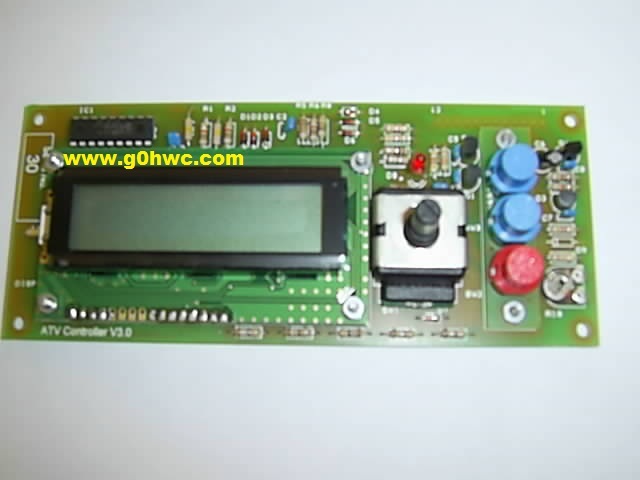 I do supply a miniature regulated DC-DC converter with this auction which takes 9-18v input with an output of 24v @ 125ma for generating this bias voltage. There is a logic level enable pin which requires grounding to enable power to this amplifier and can be used for a PTT/KEY control. 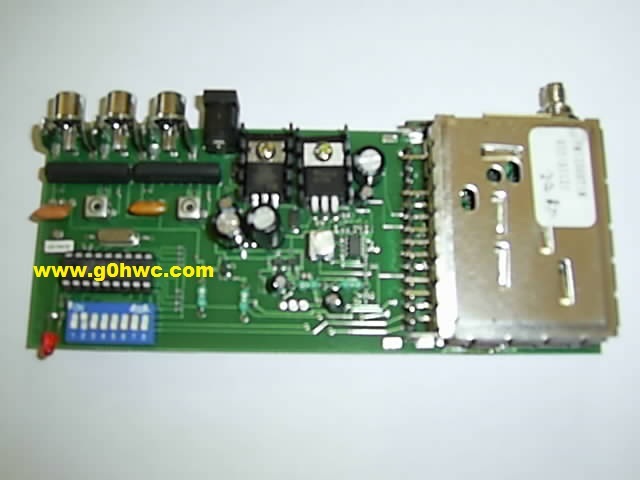 The connector also has a direct temperature output pin with the function 10.0mV/degree F which measures the board temperature close to the 30W RF output GaAs FET (NEC S2527-30). 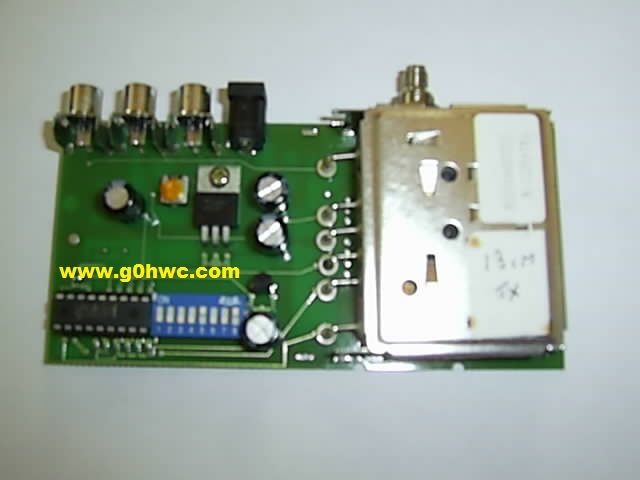 Note that the output of this amplifier is protected by an internal 125W isolator! Here are the pin functions for the DC bias connector: Pins 1,2,3,4 are all +12 to 13Vdc @ 7.5 or so amps. Pins 5,6,7,8,10 are all ground. Pins 12,13 are N.C. Pin 11 is Logic level Low enable, normally floats high. This turns on the +12v to the internal transistors. Pin 14 is + 26V bias supply input @ 50Ma. Pin 9 indicates temperature = 10mV/degree F. This board comes mounted on a 1/4 inch thick aluminum heat spreader which has 6 mounting holes for mounting to a heat-sink. I am also suppling the 2 MCX .086 hard-line sections as well as the mating bias connector as shown. You will find it very easy to remove one of the MCX connectors from one end of these and replace it with a SMA .086 hard-line connector. Board dimensions are 6.5 x 4 inches. Anything you would like added ? Let me know.